This weekend is the last couple of days of The Cheltenham Literature Festival. A busy schedule means I haven't had chance to attend this year, and I'm particularly upset to be missing the line up for today and tomorrow. 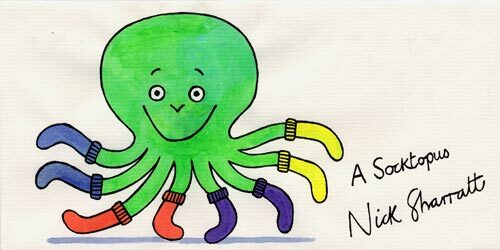 I would have loved to have taken my niece and nephew to see Nick Sharratt, I have always adored his illustrations. They remind me of a childhood reading Jacqueline Wilson, his doodles always perfectly matched her words and I spent many hours trying (and failing miserably) to recreate them. Dawn French is also there this evening, I am a huge fan of hers. I've always loved her as a comedian, but after reading her autobiography (Dear Fatty) my admiration for her only deepened, helped by the fact that her book kept my chuckling for hours. Tonight the festival also hosts The 1960 Cheltenham Booker Prize, the nominations are Harper Lee’s To Kill A Mockingbird, Lynne Reid Banks‘ The L-Shaped Room, The Ballad of Peckham Rye by Muriel Sparks and Edna O’Brien’s The Country Girls. My vote goes to To Kill a Mockingbird, who do you think should win? Tomorrow see's Audrey Niffenegger's event, attending her talk is definititely my biggest lust. The Time Travellers Wife is such an incredible book and unique in its structure. Whilst her second book Her Fearful Symmetry is not so easy to love, I couldn't put it down and it crept around in my mind long after I'd finished the book. I'd really like to be able to put a person to the name, and someone that writes fiction like she does is surely a fascinating individual. Finally, I popped on amazon this afternoon to check out the bestsellers list and discovered the top three are all on my current wishlist. 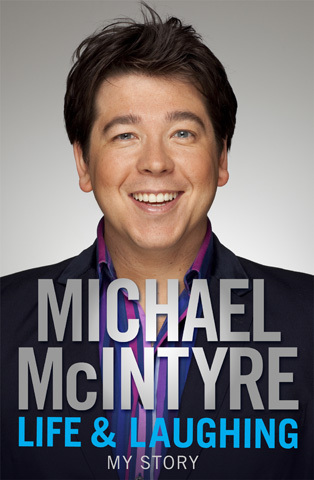 Jamie Oliver's 30-Minute Meals and Michael McIntyre's Life and Laughing: My Story, are both on my Christmas List, and I've just ordered The Finkler Question. I always try to read all the books from the Booker shortlist. This year I'm particularly behind as I've usually read the shortlist and decided on my personal favourite long before the winner is announced. I haven't read any this year so I've got some serious catching up to do. Well I'm off to relax with Marks and Spencer's Dine in for £10 and X Factor (I know, guilty pleasure, I'm sorry). Hope you all enjoy your Saturday evening.